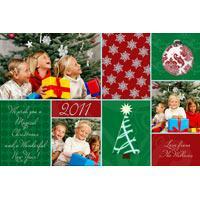 These Christmas and Holiday Photo Cards have cascading Christmas Trees down the side for a truely festive holiday photo card. 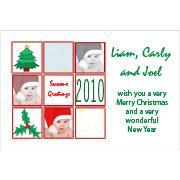 Christmas and Holiday photo cards are a unique and personalised way to wish your family and friends a Merry Christmas. 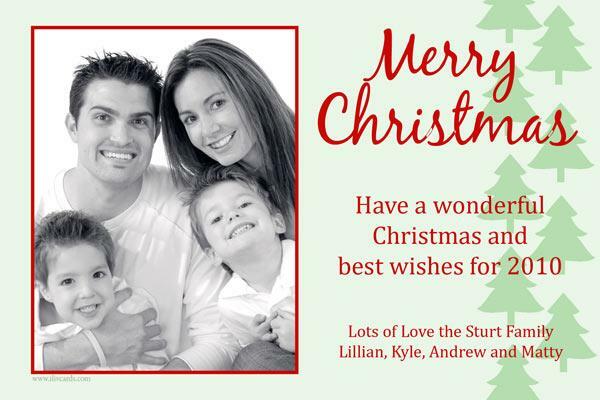 Save on time and effort by getting personalised Christmas photo cards this year to send out to family and friends.� You can even get them mounted in slotted white cards so you can write (or get printed) your Christmas inside. Photo cards can be adapted for any occasion, not just Christmas and holiday cards and all photo cards on this site can have colours changed to become Christmas and holiday photo cards. PLEASE INCLUDE COLOUR, PATTERN & FONT CHANGES TO YOUR PHOTO CARD IN OTHER DETAILS SECTION OR WHEN EMAILING THE PHOTO FOR THE BAPTISM, CHRISTENING INVITATIONS. Girl Christening Invitations, Baptism Invitations and Naming Ceremony Invitations and Thank you photo cards.